Photo by Elyse Lavonne Photography. Wanna meet the creator in person? 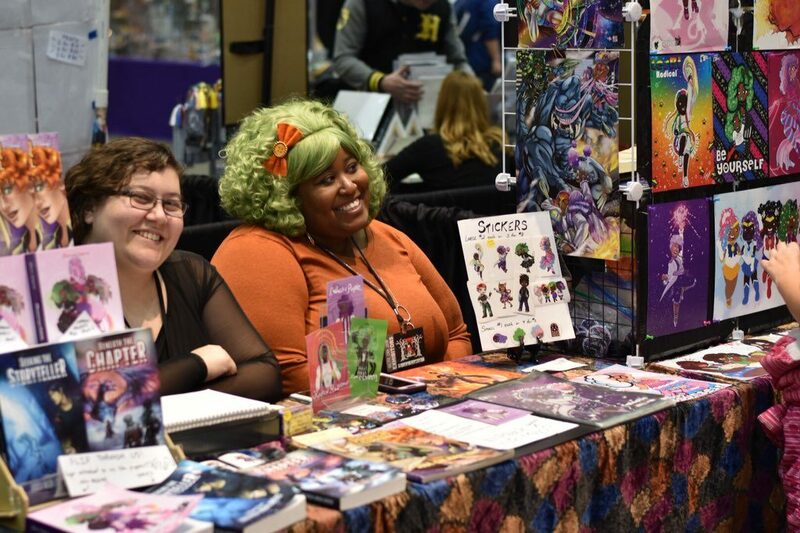 Briana travels to several conventions and does several events every year. She can usually be found at a table with her various works. She also tries to do as many panels as she can, and is often wearing fun cosplays throughout the weekend. 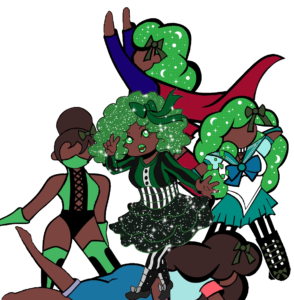 As magnifiqueNOIR develops, Briana will have more merchandise for the girls at conventions, ranging from books, to buttons, to prints, and more! Here are her confirmed appearances. This page will be updated as she’s confirmed for more conventions, book readings, and other events. Where to Find Me: TALK/PRESENTATION! I will be doing my “Beyond Creation: Diversity in Writing” presentation. I’ll also have my work available for purchase afterward. Where to Find Me: TALK/PRESENTATION! I will be giving a talk about myself and my work. I’ll also have my work available at the talk. Where to Find Me: I AM A GUEST CREATOR AT THIS EVENT! That means I will have a table where I will be selling all weekend. Where to Find Me: I AM A GUEST CREATOR AT THIS EVENT! That means I will have a table where I will be selling. Where to Find Me: RADIO INTERVIEW! Where to Find Me: WALKING IN A FASHION SHOW! I’ll be wearing a dress made by my partner, inspired by Shigeru Miyamoto! Where to Find Me: I AM A GUEST PANELIST/EXHIBITOR! I will be giving my “Beyond Creation: Diversity in Writing” panel on the 10th, then will be selling my books on the 11th! Where to Find Me: ARTIST ALLEY! I will have a table and will be selling all weekend. Will be doing panels as well and will update with times closer to the convention. Table location will also be posted closer to the event. Where to Find Me: SELLING! My partner and I will be selling copies of our urban fantasy series along with taking preorders on “magnifiqueNOIR” and selling the merchandise we have for the book. Come stop by, pick up a book, and have a drink! Where to Find Me: BOOK READING! In room 1116, I’ll be reading a snippet from “magnifiqueNOIR” while my partner reads for “Seeking the Storyteller” at 9:30 PM! Where to Find Me: SELLING! My partner and I will be selling copies of our urban fantasy series along with taking preorders on “magnifiqueNOIR” and selling the merchandise we have for the book. Where to Find Me: SELLING and READING! My partner and I will be selling copies of our urban fantasy series along with taking preorders on “magnifiqueNOIR” and selling the merchandise we have for the book. Where to Find Me: I AM AN INVITED PARTICIPANT AT THIS CONVENTION! This means I will be doing panels. I will also be doing book signings and a book reading. Details coming soon! Where to Find Me: BOOK READING! I’ll be reading a snippet from “magnifiqueNOIR” at this event! Where to Find Me: PANELIST! The convention is three days but my partner and I will be joining voice actor Greg Ayres for the “It Gets Better” panel! Where to Find Me: I AM A FEATURED CREATOR AT THIS EVENT! This means I will have a table where I will be selling my work. 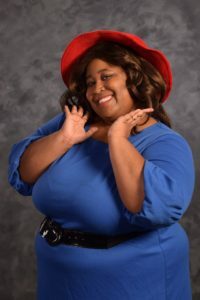 Where to Find Me: I AM A FEATURED PANELIST! This means I will have a table in the vendor room where I will be selling my work, AND I will also be doing panels. Table location and panel updates will be posted soon! If you’re interested in having Briana and her partner come to your convention, please send an email to brichibi@yahoo.com OR brichibi@gmail.com.